Grand Tea has provided me with Organic GABA Oolong for the purposes of providing an honest review. I received this product at no charge to me and received no other compensation. 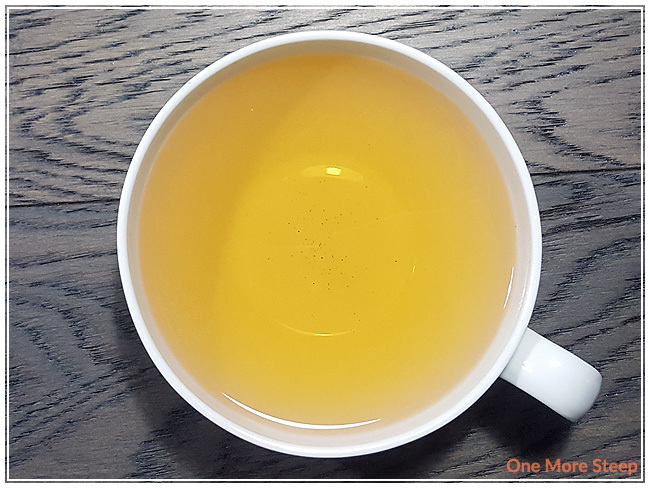 Another GABA tea from Grand Tea (the first one I reviewed was Organic GABA Black Tea), only this one is an oolong. Organic GABA Oolong has a very distinctive smell that comes out of the bag when I ripped it open. It reminds me of the smell of golden raisins, which I’ve always found to be brighter and more fresh smelling than the sticky dark raisins that came in those little red boxes come Halloween time. The leaves are tightly squished together. Non tea drinkers probably think it’s weird to call tea leaves pretty, but I do all the time because they are! 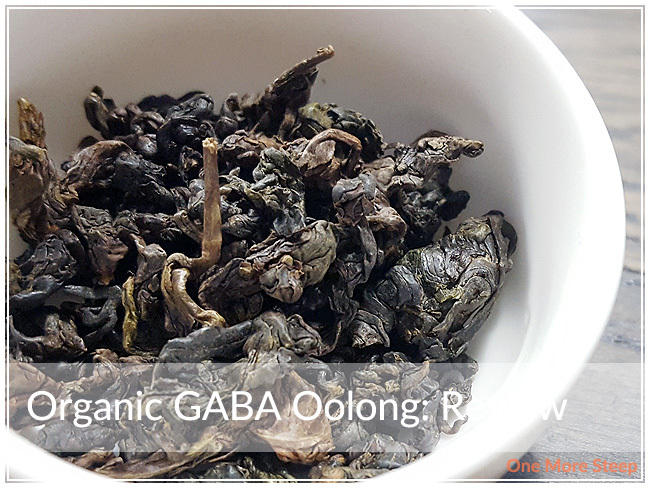 The packaging for Organic GABA Oolong didn’t have any steeping instructions, nor did the product page on Grand Tea’s website. I opted to steep my Organic GABA Oolong in 85°C (185°F) water for 2 minutes for the initial steep. As per usual, I used my Breville IQ Kettle. Organic GABA Oolong steeps to a bright gold colour, it’s quite cheerful and it’s very welcome in my teacup with the rather dreary weather I’ve been experiencing lately. This tea smells remarkably like golden raisins, and it tastes like golden raisins as well. There’s this honey taste to this tea that is rather nice, and the tea has a slightly thicken texture to it that coats the mouth well with flavour. Essentially, the entire first steep of this tea tastes like candy because of the level of sweetness and the fruitiness of the golden raisins. 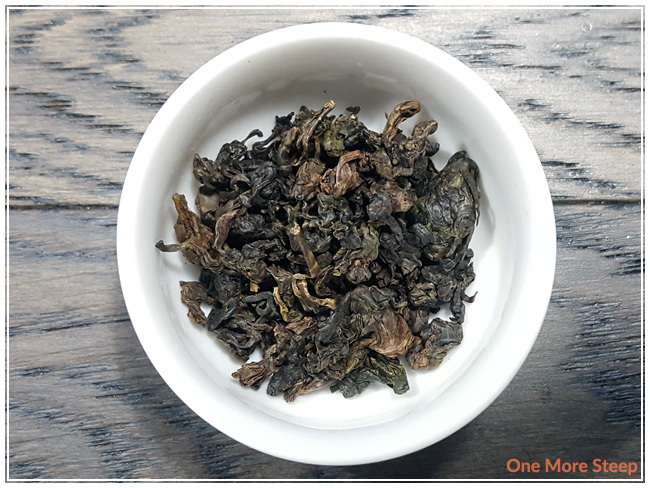 I steeped this tasty oolong an additional six times, I add an extra 30 seconds of steeping time for each steep. For the first resteep, I experienced a mix of golden raisins and peaches, which was really quite tasty. 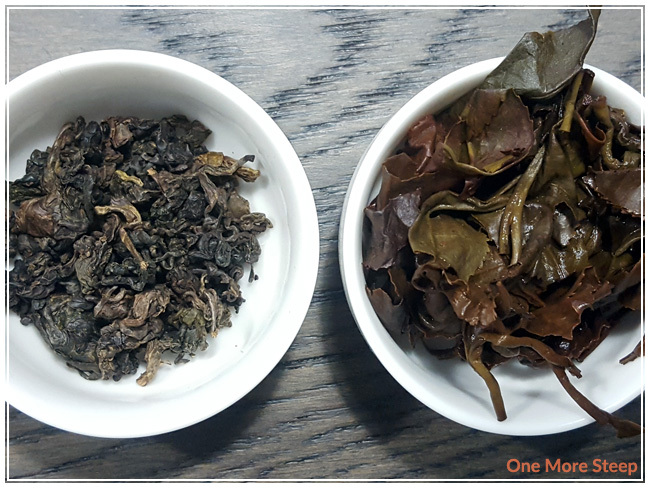 This fruity combination continued throughout all of the resteeps and the intensity of the honey sweetness does decrease as I continued to steep this oolong. I loved Grand Tea’s Organic GABA Oolong. I think that anyone who knows me personally knows that I have a huge sweet tooth, so it probably comes to a surprise to absolutely nobody that I really enjoyed this Organic GABA Oolong tea. The level of sweetness in this first tea makes me think of candy and it’s so tasty! Golden raisins are delicious, so the honeyed taste of raisins in my cup made me down the first cup relatively quickly. 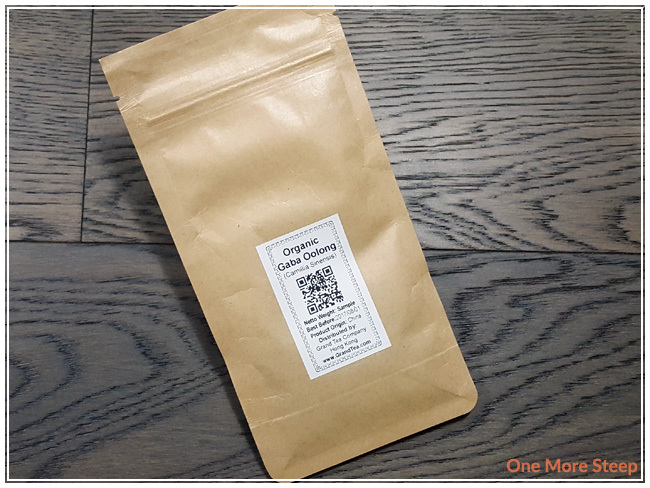 I really enjoyed the subsequent steeps of this oolong because the flavours changed subtly and it was enjoyable to have the taste of peaches and raisins in my cup. I found that this tea resteeped amazingly well for a total of seven resteeps.